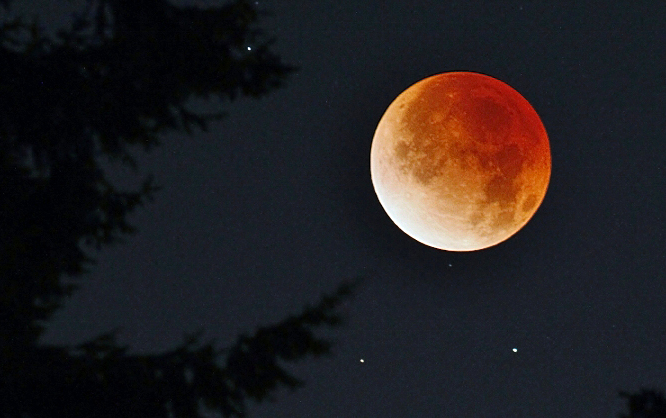 The second lunar eclipse of 2014 occurs this evening and can be viewed from most of North America. This eclipse occurs two days after the moon’s perigee and means that the it will appear 5.3% larger than the April 15 eclipse. Weather permitting, this should be a great opportunity to photograph a “blood moon” eclipse. 2) Use a Tripod & Shutter Release. Nothing is steadier than a good quality tripod and although your exposures will be surprisingly short, if you’re using a long lens, you’ll need to keep it as steady as possible. TIP: If you forgot your remote release, use your DSLR’s 2-second timer. For close-ups a focal length of 200mm is quite good, but a 300mm or 400mm is better… If you have a 2x converter, use it. For most shots you’ll want to fill the frame as much as possible. However, if you are including scenery, than a normal or wide angle lens will do nicely. Most photographers overexpose their moon photos when they rely on the camera’s auto modes. The moon is actually quite bright. Think about it, it’s being illuminated by the Sun so the Sunny 16 Rule is a very close estimation. Once the eclipse starts and the moon gets darker you will have to make some adjustments. Select the widest aperture on the lens so you can use the fastest shutter speed possible. Remember, the earth is rotating and a long focal length will amplify movement. Because of the aforementioned rotation of the earth, the moon’s position in your viewfinder will constantly shift. Make the necessary adjustment to keep the moon centered. 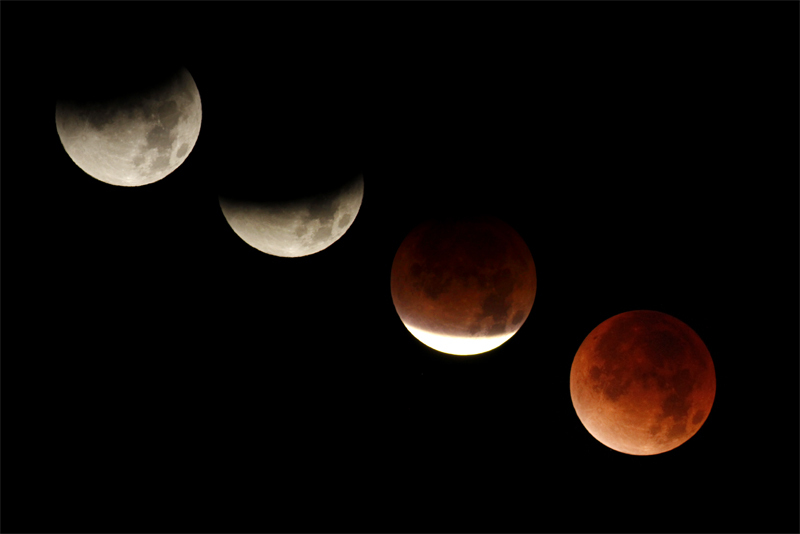 Capture multiple exposures of the entire eclipse sequence to create a montage. Mount your camera with a wide angle lens, compose the scene with some interesting foreground, and capture an image every 15 minutes. Afterwards, you can blend the different phases of the eclipse into one single image using Photoshop. It takes time, patience, and a willingness to forego sleep for most of the night, but photographing these total lunar eclipses is a rare event. That being said, tonight’s eclipse is the second in a tetrad of four lunar eclipses spanning two years. If you miss tonight’s event, you’ll have another shot in April and October 2015.